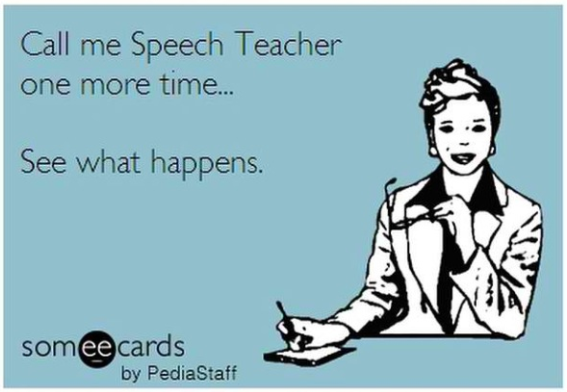 As speech therapists working within the public school system, we walk a fine line. We are not teachers. However, as a part of the school based team, we have an obligation to help students access the curriculum. Likewise, as schools become increasingly focused on test scores, we want to be aware of how our unique services are supporting growth within the curriculum. Most of us are at least somewhat familiar with the common core standards. In fact, many of us are very cognizant of these standards when writing goals for our students. Others of us may not be quite as tuned into incorporating these standards into student goals. 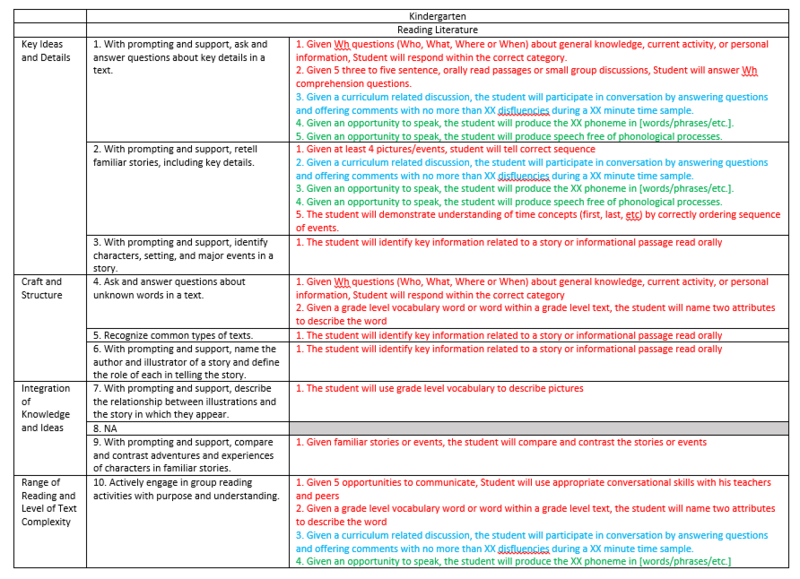 Today, I would like to share a piece of a document with you that will *hopefully* be helpful in your quest to merge specific student needs with the standards for each grade. This document takes goals we commonly use as SLPs and relates them back to the common core standards. You should note, this is not necessarily a goal bank, but a list of examples. The entire document will be introduced and distributed during our PD sessions on 11/3. Do you consider common core standards when writing student goals? How? What are some other ways you incorporate content area material into your therapy sessions to boost student achievement?